The experience of picking up exclusive and premium brands would leave you yearning for more. The sophisticate lounge would be too hard to skip without an evening cocktail. While there are many ways to relax at the end of the day, an experience worth savouring is an evening spent at the Lounge and Bar. Offering a delightful and chic experience that is unrivalled by other lounge, it offers an easy environment that pulls you in and leaves you feeling satiated. Based on colonial theme, the bar has a unique and rare collection of ancient paintings. Besides, the bar organises theme nights like Milonga nights where Tango dancers and teaching experts give opportunity to the guests to learn this dance form. Overlooking the crystal waters of Eros Hotel’s poolside, this sitting lounge offers an indoor seating arrangement that can accommodate up to 64 guests. It also offers a pleasant outdoor setting where one can marvel at the exceptional and pristine poolside. Set up near a spectacular and elegant landscaped garden, the delightful ambiance is accompanied by a service that is impeccable and customised to meet any demand or need. The Lounge and Bar also comes with special evenings and special moments that are reserved for all the ladies. Every week it offers a relaxing evening outing complete with delightful delicacies as well as free flowing cocktails. Providing an exquisite blend of cocktails and delightful wine collections, Lounge and Bar balances the experience with a variety of appetising snacks. Ensuring that no part of the evening is left wanting. 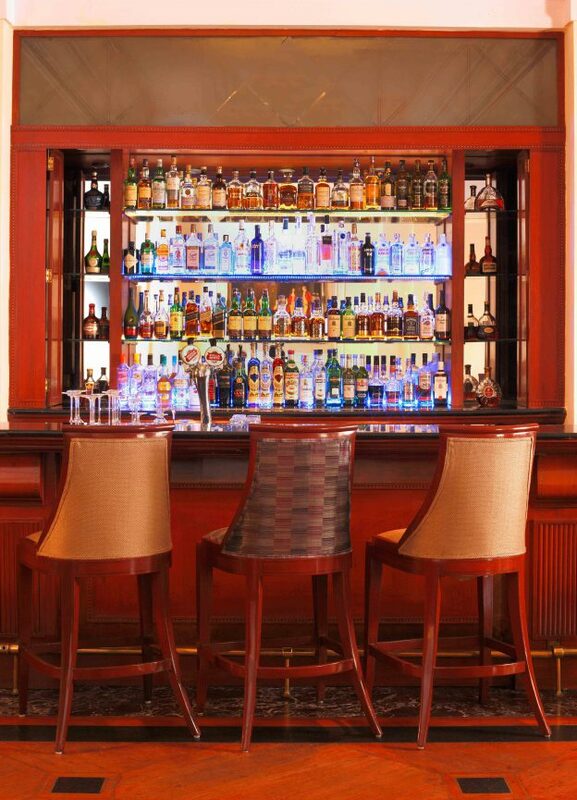 The Lounge and Bar also offers live music and entertainment with its delectable treats. Standing as one of the premier lounges, it offers the guests a choice between a tasteful selection of extensive wine collection or a thrilling adventure in the form of a deliciously flavoured cocktail. Amrodtini, which is Vodka based cocktail with hint of burnt cumin gives local flavour to make it more popular. The bar also serves Hawaiian Sangrias, Fruit Sangrias, and Flavoured Margaritas. Time to time the bar organises beverage promotion. Also, special menus are designed for New Year and Christmas as well. This entry was posted in events on November 15, 2016 by admin.